The 2kw Oscillating Fan Heater from Silent Night is ideal for your bedroom or office, with oscillation features this fan heater will blow out pleasant hot or cold air in an alternating 90-degree angle cycle. This Fan heater includes a Cool Air setting, making it a fan for the summer months. 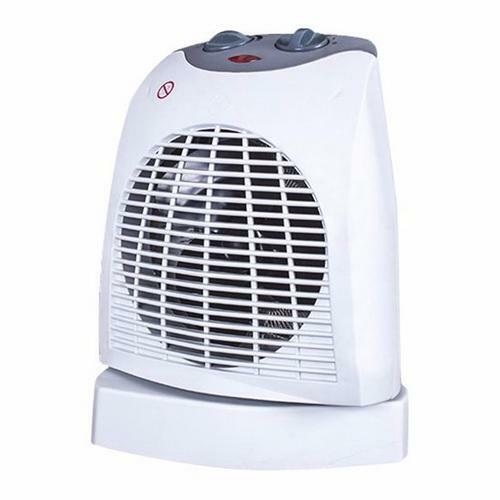 with its adjustable temperature and fan speed, this heater can be set to blow hot air at its highest setting. This Fan Heater includes an automatic Cut out function when it gets too warm for your safety. this fan heater is designed for low noise enabling you to sleep soundly at night. prompt delivery, very competitive price. The heater works well and am satisfied with the purchase.